Note from Jackie Hall: A very welcome late-season shark. 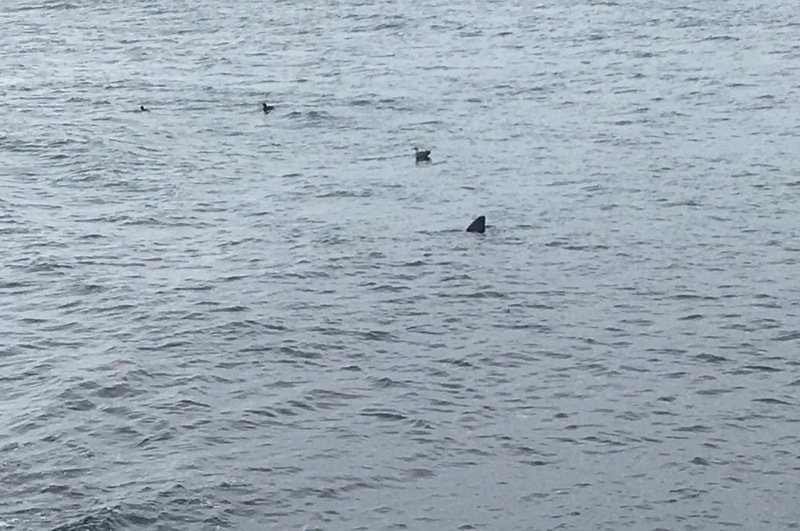 I also hear a rumour of 3 sharks off Port Soderick on the same day. The sea is still very warm, 15.0 -17.8 degrees C so probably still too warm for the plankton to be good enough to keep the sharks around for long.